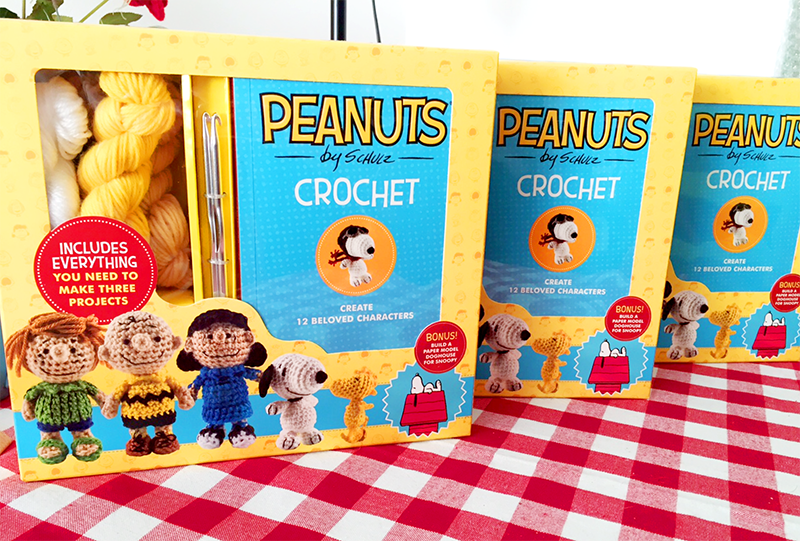 I’m giving away 3 “Peanuts Crochet” kits! 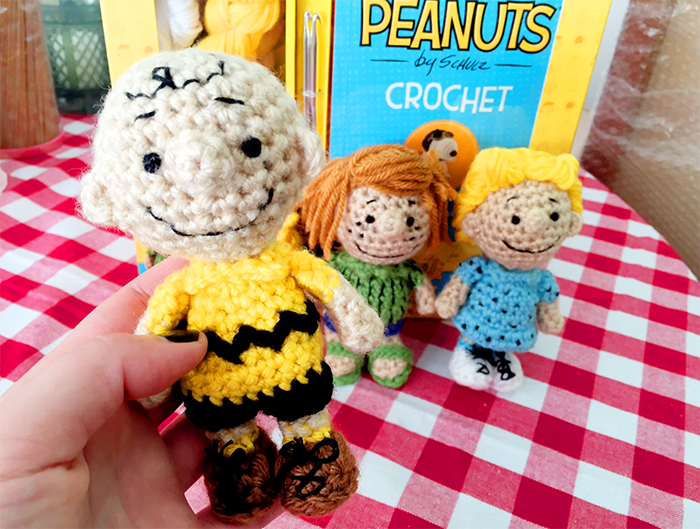 I’m giving away 3 copies of the “Peanuts Crochet” kit (affiliate link) by my friend Kristen Rask that I contributed 4 patterns to, so that means 3 winners will each get one! 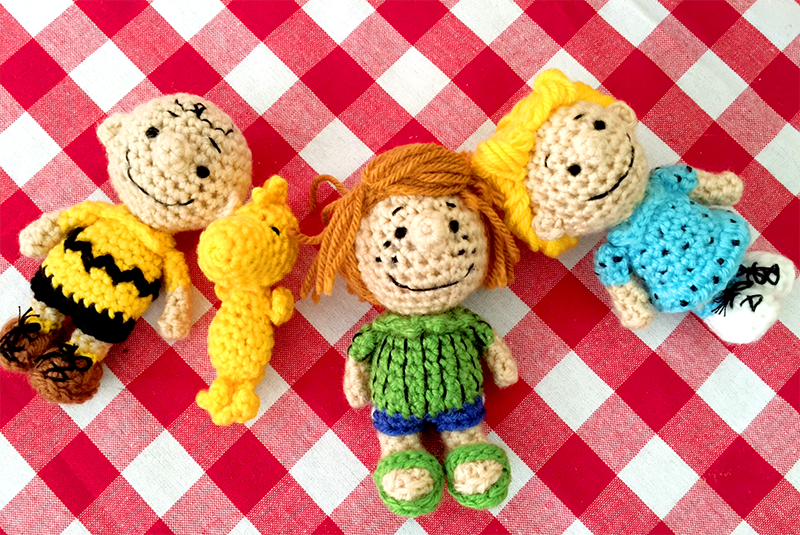 You can see the samples I worked up for the patterns I wrote: Charlie Brown, Woodstock, Peppermint Patty, and Sally. They are pretty small dolls, about 5 inches (or under, for Woodstock). Here is a full of list characters that are included: Charlie Brown, Snoopy, Linus (and his blanket), Franklin, Lucy, Sally, Peppermint Patty, Pigpen, Flying Ace Snoopy, Schroeder (and his piano), Woodstock and Marcie. This kit is not really for super-beginners. You should probably be fairly comfortable already with working in the round, but you can also grab a kit and have it on-hand for whenever you are ready! 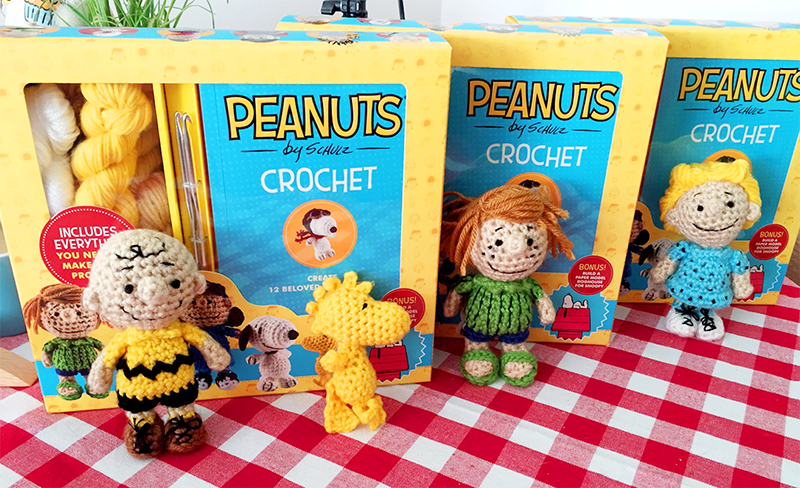 235 Responses to I’m giving away 3 “Peanuts Crochet” kits! We LOVE Peanuts at our house! 🙂 Woodstock is my fav character!! The Great Pumpkin is my fav movie!! I have always loved Snoopy. My favorite character is Charlie Brown. And my favorite episode is A Charlie Brown Thanksgiving. Thank you for the chance to win. My favorite is Snoopy and I love “Be My Valentine, Charlie Brown”. I will always love The Great Pumpkin!! I’m a big dummy and my sister Bianca is the best. I love snoopy, I had a piggy bank of him as a kid. I love when he danced/dances, I always wanted the ice cream machine and snow cone makers. My daughter and I love Snoopy like no other! We are so excited for the new movie and can’t hardly wait to go see it. I love all your patterns. You make the cutest stuff! I heart snoopy. I like the classic Christmas story! Snoopy as the flying ace is my favorite!! My son is obsessed with the Peanuts and insisted on buying this for me on Mother’s day so that I can do it, although nobody in the house has any idea how to do it all. Any chance there is video instructions? Hi! Unfortunately there are no video instructions for the patterns. I’m sorry! Could you possibly create one or two? I’m currently working my way through Woodstock and am having problem understanding what to do and how to read the instructions for Legs & Feet.